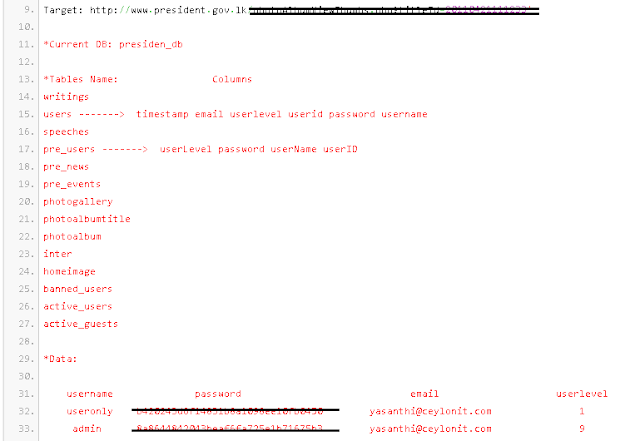 Official website of President of Sri Lanka (president.gov.lk) breached by hacker going by name "Broken-Security", using Blind Sql Injection vulnerability. 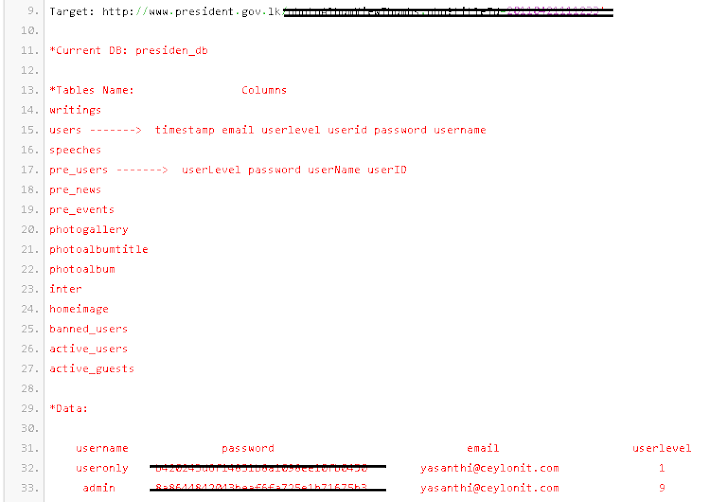 Vulnerability also posted by hacker on a pastebin note with database dump including table and column names. Dump include the Username and Encrypted password of admin also as shown in screenshot. Hacker didn't mention any reason of hacking.